The Massey Graduate School of Business is partnering with Young Leaders Council (YLC)for the second year in a row to welcome the 2018 Massey Graduate Alumni/YLC Class. The program provides the opportunity for MBA alumni to participate in a training program for work in nonprofit organizations. YLC is a Nashville-based nonprofit organization created by the Council of Community Services and the HCA Foundation to address the need to broaen and strengthen Nashville’s volunteer leadership base. They aim to train young professionals to effectively participate on the boards of nonprofit organizations. Since their conception in 1985, more than 2,500 graduates of the training program have serves on the boards of 225 nonprofit agencies in Middle Tennessee. The YLC program consists of 11 classes covering the fundamentals of nonprofit board training. 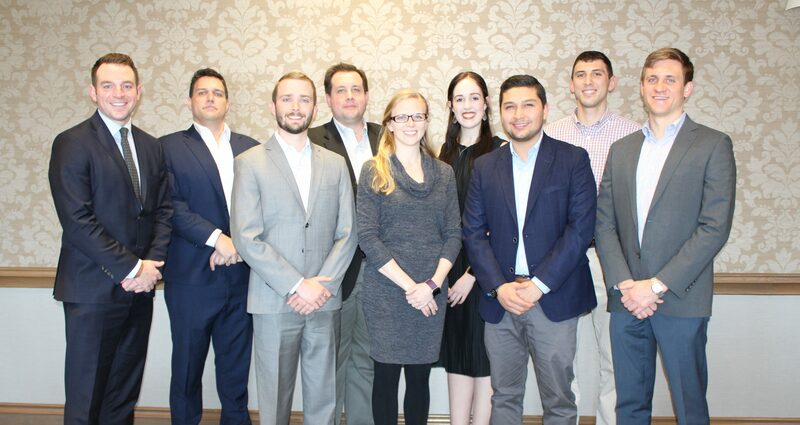 Upon completion of the program, participants are placed on nonprofit boards to serve one-year internships as a nonvoting member of that board. They will also be members of the YLC alumni program that offers ongoing programming. This year’s class consists of nine alumni from the Jack C. Massey Graduate Schools of Business. The program began earlier this month and will continue until May 24.